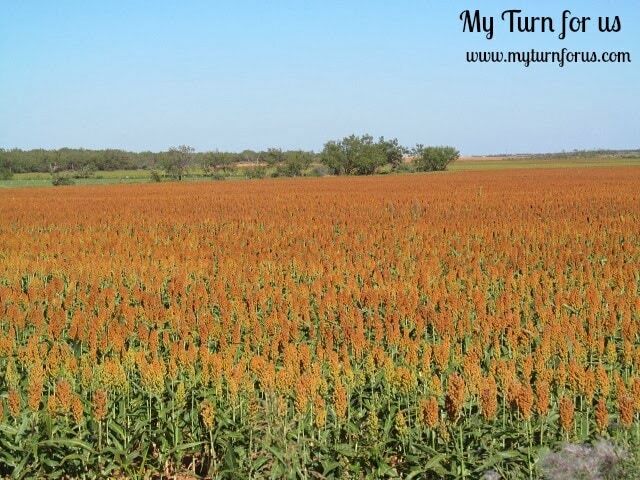 Grain Sorghum, Milo is defined as a widely cultivated cereal native to the warm regions of the old world. It is the third most important cereal group grown in the United States and the fifth most important cereal crop grown in the world! Grain Sorghum is a major source grain and feed for livestock. 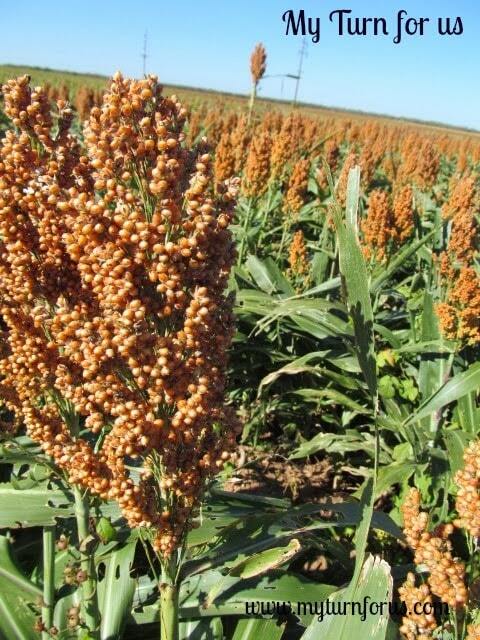 This cane like plant is about 3-4 feet tall with large clusters of grains which are reddish in color when ripe. 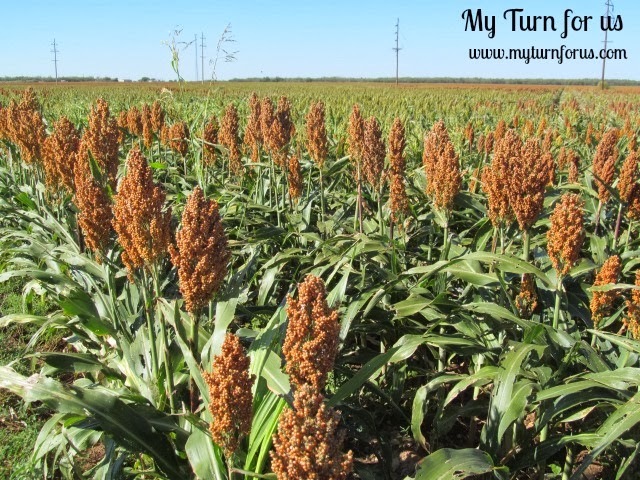 It is drought tolerant and heat tolerant, just perfect for the plains of Texas. And of course it is just beautiful!! Have I told you how much I just love Texas? That is a beautiful golden field! I just recently discovered sorghum and started using for baking. Never knew about it before…next time when I am driving countryside, I am going to pay more attention to see them! Beautiful! I'd love to visit Texas, it's one of the few states I haven't been to. I totally understand – Texas is the best! I've lived in NJ for 6 years now, and so looking forward to moving back home. God Bless Texas! I love pastoral scenes anywhere. I'm from Colorado and have been visiting Oregon for a little over a year in our RV – and oh my, the farms and orchards and vineyards around here still take my breath away. I've been known more than once to pull over to the side of the road and snap pictures at scenes that are too pretty to pass by. These are lovely and a crop or plant I wasn't familiar with. Love Texas too – I'm a native!!! 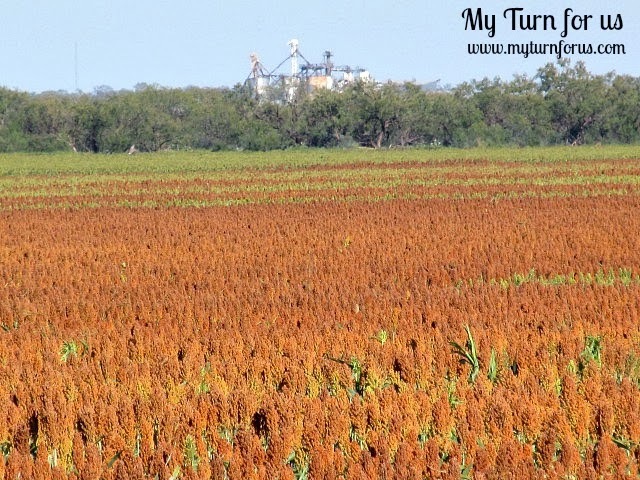 Drove by a field of sorghum yesterday in the bright sunshine. It is beautiful this time of year.